The Art of Robert E McGinnis (2014) | 'TAIN'T THE MEAT… IT'S THE HUMANITY! Last year I posted an article about paperback cover artist Robert McGinnis (click here) and how much of a fan I am of his work. I concluded the post by noting that, although his work has adorned the covers to over a thousand books, very little has been written about the man himself. Thankfully it looks as if I wasn’t the only one to feel that way, as a new retrospective of the artist’s work has just been released. 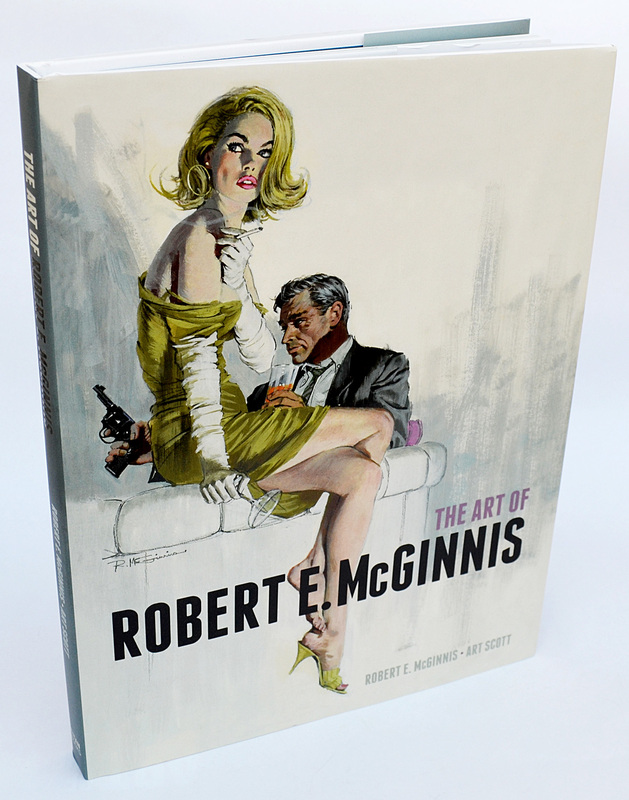 Published by Titan Books in December 2014, and compiled by McGinnis collector Art Scott, The Art of Robert E McGinnis is a lavish celebration of one of the 20th Century’s most talented commercial illustrators. 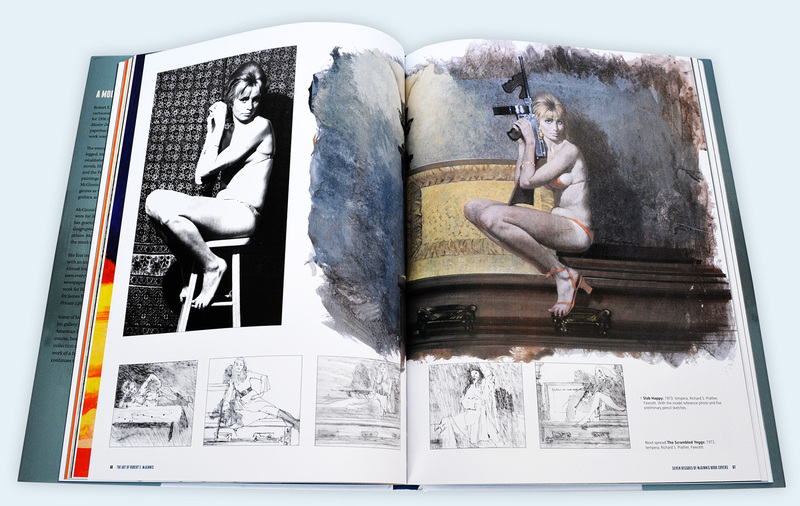 Measuring a generous 9.5 x 12 inches, and running to 176 full colour pages this hardback book covers all aspects of McGinnis’ long and rich career as a commercial artist. Since his first published artwork appeared in the late 1940’s McGinnis’ paintings have appeared on the covers of paperback crime and private-eye novels, movie posters, romance, historical and gothic novels and he has contributed to dozens of magazines. McGinnis’ trademark cover style is well represented here; the majority of his crime book covers all adhere to the same simple formula: a beautiful, usually semi-clad woman stares defiantly out at the reader. McGinnis would utilise this style to great commercial success on many hundreds of book covers making him one of the most sought after cover artists in the business. 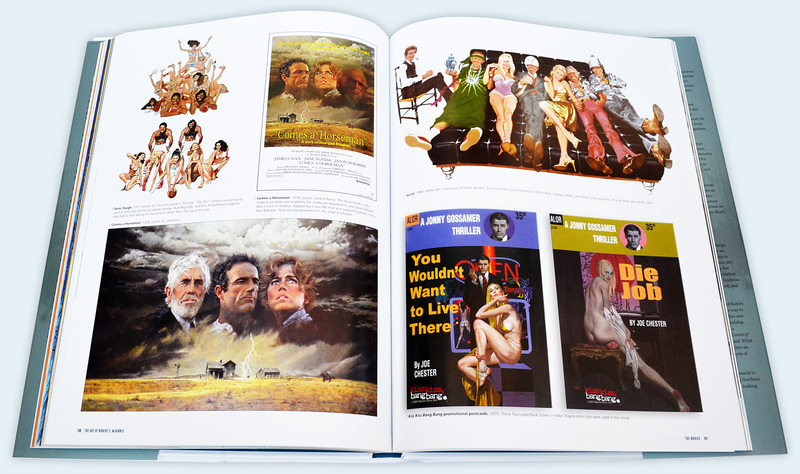 The Art of Robert E McGinnis features a rich mix of original artwork – many reproduced directly from the paintings themselves and reproduced full page – as well as paperback covers and movie posters. The production values of the book are very high and it is printed on high-quality white stock that hold the colours very well (the use of spot varnish on the front and back covers is a nice touch). 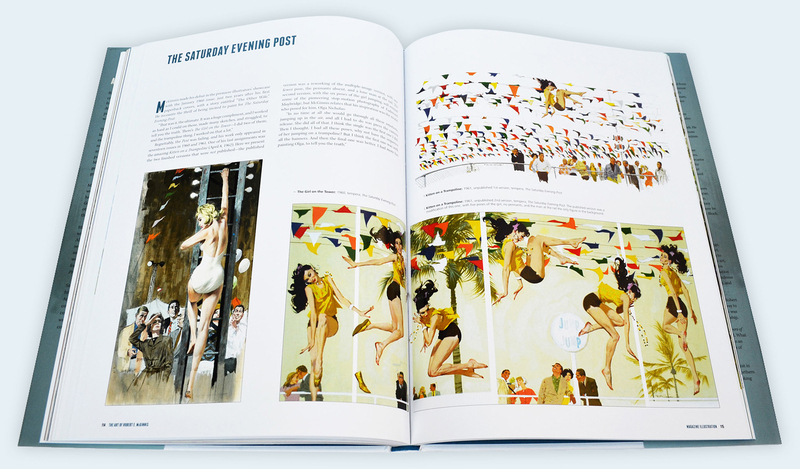 All of the artwork is arranged into chapters and each features a short text introduction by Art Scott, who also helped compile The Paperback Covers of Robert McGinnis, published by Pond Press in 2001. 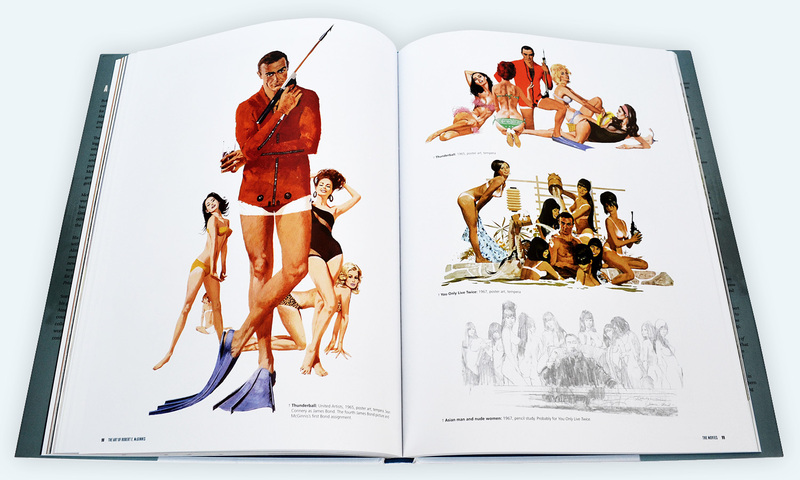 McGinnis is almost as well known for his movie posters – especially for Breakfast at Tiffany’s and the early James Bond films – and on this score the book doesn’t disappoint with dozens reproduced, many full page. The book even highlights changes made to McGinnis’ artwork after he handed in his paintings: note the changes made to the final poster for the film “Comes a Horseman“. Although his iconic artwork has graced the covers to over a thousand paperbacks, it’s his magazine work that shows McGinnis true range as an artist. During his career he has contributed over 250 paintings to many American magazines, placing him in the company of other illustration luminaries as Howard Pyle, Charles Dana Gibson and Norman Rockwell. A great deal of that magazine work is represented in this book, such as National Geographic, Guideposts and The Saturday Evening Post. 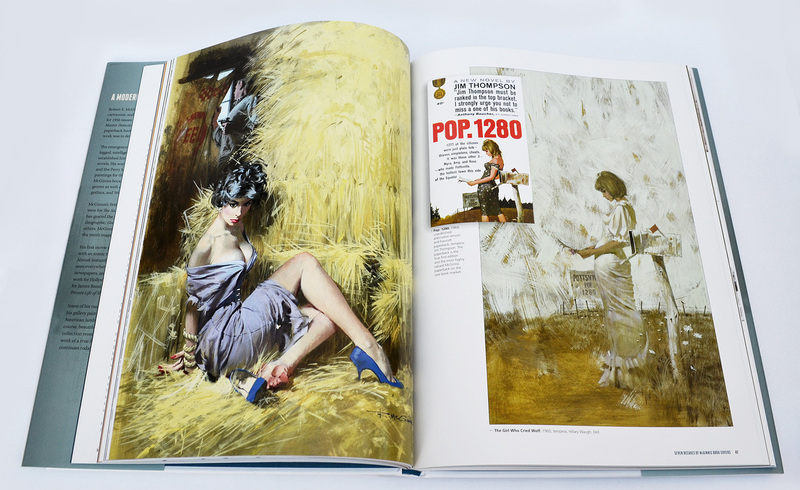 This spread reproduces one of my favourite McGinnis paintings, his cover to Slab Happy written by Richard S Prather. The original model photo is reproduced on the left while a selection of pencil roughs illustrate the bottom of the pages. McGinnis had a reputation among publishers and art directors for being extremely easy going, with a strong work ethic and little-to-no ego. He would routinely submit many different sketch ideas and never balked at supplying even more when asked. There are so many wonderful images in this book that I really had my work cut out choosing the half a dozen spreads needed to illustrate this post. Many others had to be omitted, and those I’ve shown only scratch the surface of this beautiful book. Although McGinnis is approaching 90 years of age, he shows little sign of slowing down. He still accepts the occasional commission and contents himself with painting nudes, scenes from the America West as well as his beloved landscapes (what he calls his ‘gallery work’). 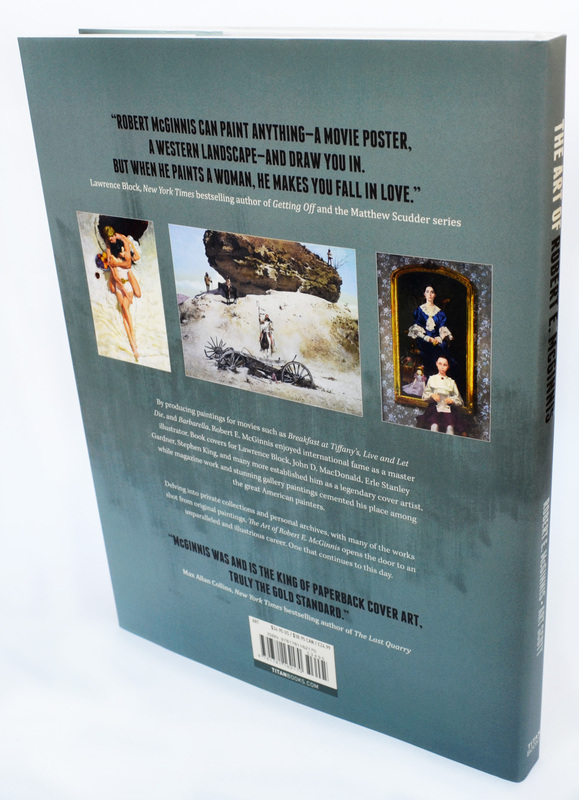 The book features chapters on all these subjects as well as an interview with the artist where he discusses his use of models, his dealings with temperamental movie agents as well as discussing his artistic influences. 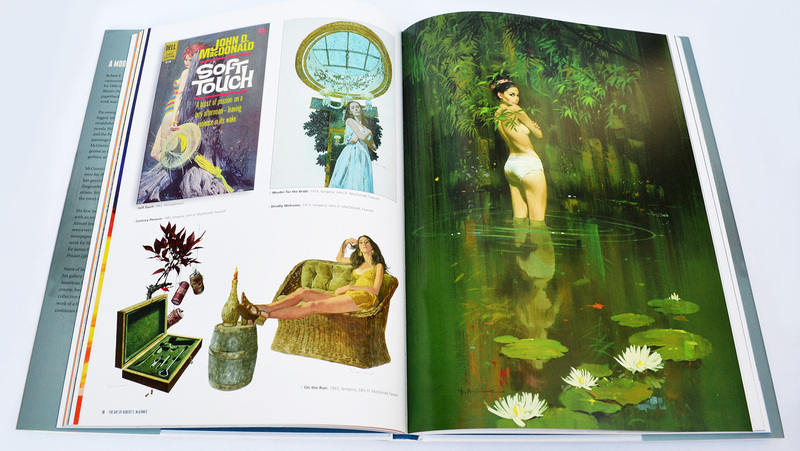 The Art of Robert E McGinnis is priced at £24.99/$34.95 (but, as always, look around and you’ll find it cheaper) and is the lovingly produced tribute that this true master of American illustration so richly deserves.